This season seems to have flown by. It doesn’t seem five minutes since I was watching my first game of the year way back at the end of January at Leigh Sports Village catching the Challenge Cup First Round tie between Leigh Miners Rangers and Wigan St Patricks. But with one round of fixtures left to play in the Super 8’s and Qualifiers sections we have reached the Play-offs elsewhere in the professional rugby league divisions. Five Play-off matches will take place this weekend and I’ll look at each of them here. The French side will be clear favourites to win this semi final having won all but one of their seven Shield matches this year, making up for them narrowly missing out on a place in this season’s Qualifiers, and setting up potentially two final home matches to end the season. They will be wary after what happened against Rochdale in last season’s League 1 Promotion Final though but I wouldn’t expect any slip-ups in this game. Ironically, the only blot in this later stage was a 36-34 defeat away to their semi final opponents. However, despite a very slow start to the season, Dewsbury failed to live up to further expectations after that victory and lost three of their last four matches to finish 18 points off the pace of Toulouse in the final standings. 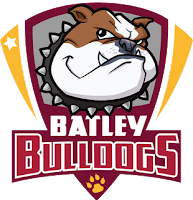 It would be wrong to read anything into Batley’s decent 34-18 victory over Sheffield last weekend in what was a dress-rehearsal for this week’s second semi final. Both sides have middle eight’s experience from the previous two years and this should be an interesting match-up. 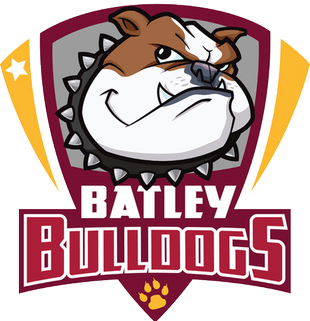 The Bulldogs will be slight favourites having finished seven points clear of their opponents in the final table and have the home draw, but Sheffield will be desperate to make amends for what has been a very hit and miss season. The gap in the final score won’t be as high this weekend and it’s these particular games which make we wish the Championship was still shown on TV as I think it could be a cracker. Barrow lived up to everyone’s expectations in League 1 this season by finishing second behind Toronto Wolfpack and winning the League 1 Cup at the end of May. Six victories from their seven Super 8’s matches started with an excellent win away to promotion rivals Whitehaven at the end of June. They haven’t quite managed to win by the big margins they achieved in the early part of the season but they’ve been very consistent throughout. 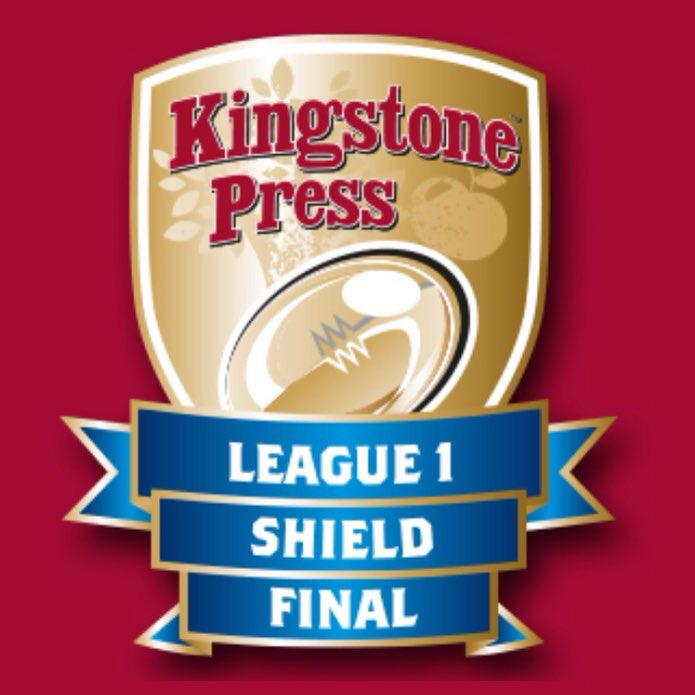 Newcastle on the other hand scraped into these Play-offs by the skin of their teeth thanks to a great win away to York City Knights and Doncaster and Keighley’s defeats to leapfrog both teams and finish fifth. Thunder finished 13 points behind Barrow in the final standings and will be major underdogs for this match against a team in good form and a big home crowd at Craven Park. 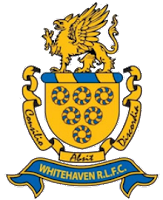 Relegated Whitehaven have won both the encounters between these two sides this year. The most emphatic was a ten point victory two weeks ago and should be favourites again for this match. When Haven moved to second at the end of the regular season after victory over Barrow Raiders, the game between them both the following weekend saw them drop back to third but it was the defeat to Doncaster in Round Three that sealed their fate. York on the other hand had a very successful season following the doubts that surrounded the club over the winter when we were unsure if there would even be a Knights team in League 1. Their start wasn’t great but they’ve built up confidence and made the promotion Play-offs for a fourth consecutive season. 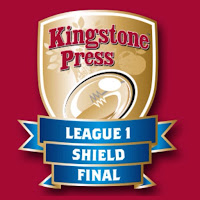 The final Play-off match this weekend sees a ‘best-of-the-rest’ shoot-out between Hunslet and London Skolars. Hunslet’s only defeat in this section came away to North Wales Crusaders in Round Three and only secured the home final last weekend thanks to a six point victory over the Skolars. They will face a tough game on Sunday against an in form London side smarting from defeat at the weekend. The Skolars had won an impressive eight consecutive matches up until last weekend and will be disappointed to have let home advantage slip for this final match of the season. 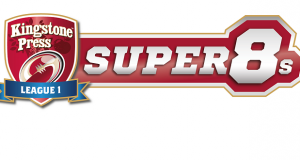 They will travel to the South Leeds Stadium fully confident they can claim their first ever trophy in the professional game.